UKBC are registered to undertake Sound Insulation Testing with UKAS. 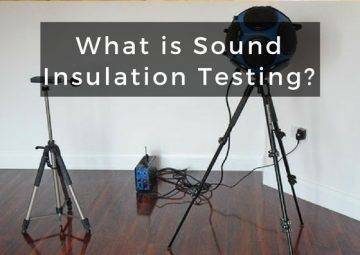 Sound insulation tests – also known as acoustic insulation testing – measure how much noise will travel through a building’s fabric. If you’re undertaking a new development, you’ll need to make sure there isn’t too much noise travelling through the walls, floors or ceilings of the building. A new development contains more than one dwelling, like a block of flats. If you are converting a house or commercial building into flats. You are building a large property for use as a residential home, such as a hotel or nursing home. Your building does not have ‘robust details’, which are materials that have been shown to provide effective acoustic insulation. Sound insulation tests comprise two stages. Both of these processes help to effectively determine the level of sound insulation in a property. These processes include airborne sound insulation tests and impact sound transmission tests. Our technicians will use a loudspeaker and amplifier to create a number of different frequencies. Next, we will record the number of decibels in the room containing the loudspeaker, as well as in an adjoining room. We then compare these readings to measure how much noise travels through the party walls. A machine with five metal hammers bangs the party floors to mimic the sound of footsteps. Our technicians will then use a sound level meter to measure how much noise this creates in a neighbouring property. 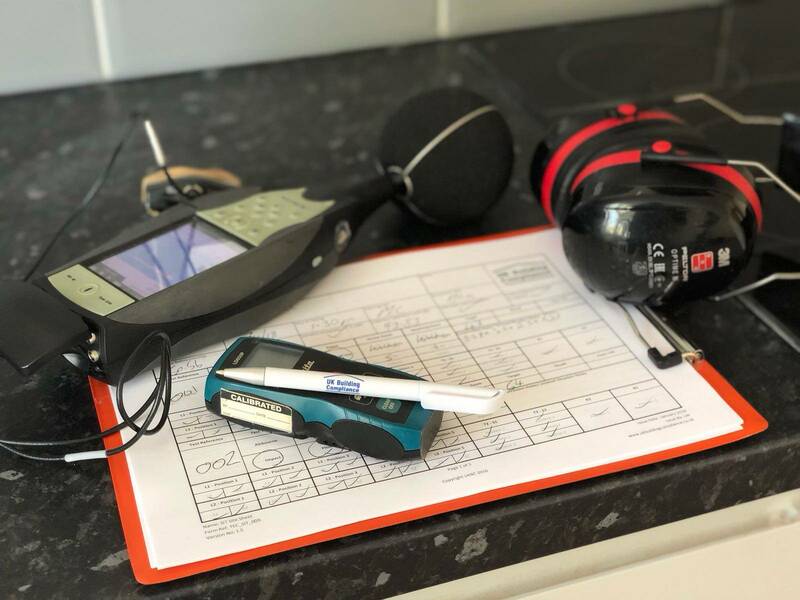 UKBC will guide you through the entire process of your Sound Insulation testing. In addition, our service includes consultation on how to make sure your project passes.